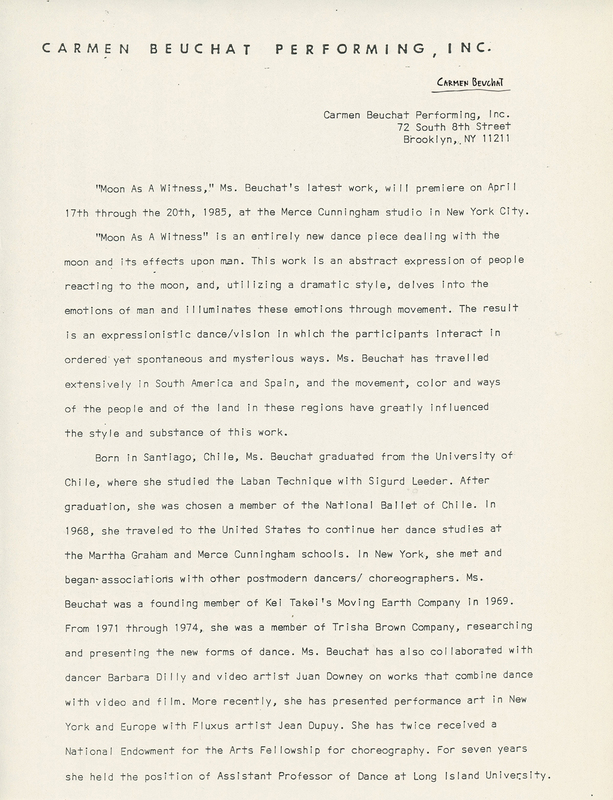 Description of Carmen Buchat´s work “Moon is a Witness” for the press release of its premiere on April 20th, 1985, at the Merce Cunningham Studio in New York City. Released by Carmen Beuchat Performing Inc.
Author/Creator: Carmen Beuchat Performing Inc. Physical Description: Paper 21 x 28 cm.